We believe it is time to stop using uncertainty as an excuse for inaction. The evidence is unequivocal. Climate change is happening. Adaptation of inland and maritime navigation infrastructure is vital, and the time to act is now. The agreement reached at the COP21 meetings in Paris in December 2015 to limit warming to less than two degrees represented a significant step for the international community. Notwithstanding this agreement, however, climate scientists are in general agreement that the world is already locked in to further change in key climate parameters. If we fail to achieve the less than two degrees goal, things will get worse still. The Think Climate Coalition Partners believe that it is time to stop using uncertainty as a reason for inaction. Scientific evidence is unequivocal: the climate is changing. Adaptation of navigation infrastructure is vital, and the time to act is now. In addition to contributing to mitigation, it is therefore vital for the sector to co-ordinate globally and act locally to adapt waterborne transport infrastructure and the operations that depend on it to the changing climate; and to strengthen resilience – in turn reducing the vulnerability of the sector to more frequent extreme events. Such action will be vital to ensure navigational safety, to reduce downtime and protect business continuity. Another of PIANC’s strategic objectives for the future is concerned with climate change mitigation and adaptation. PIANC’s technical Working Group 178 is preparing good practice guidance on climate change adaptation for ports and inland waterways. The guidance sets out a staged approach to identifying and assessing possible climate change adaptation measures for waterborne transport infrastructure. For those that wish to use it, the guidance suggests a detailed methodological framework. This is presented as a stepwise approach. 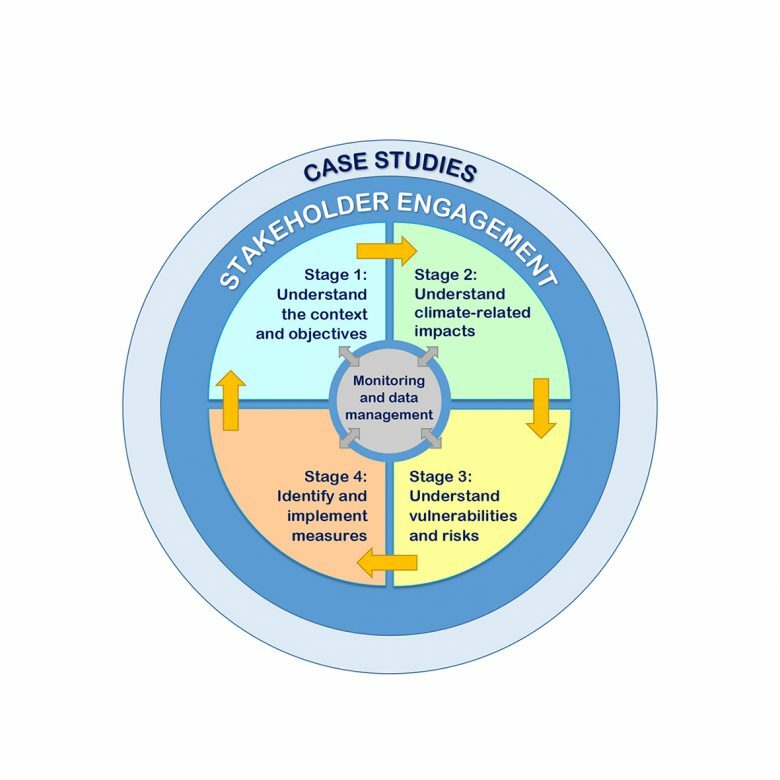 The guidance includes a portfolio of possible adaptation and resilience measures, developed through an extensive international engagement exercise. The porfolio of measures lists a wide range of physical, operational and institutional options for adapting or strengthening the resilience of navigation infrastructure assets, operations and systems. Once finalised, the guidance will also include additional supporting resources, including data collection templates and monitoring recommendations to help inform adaptation decision-making.